I pray God blesses you exceeding abundantly above all that you can ask or think. I pray He blows your mind with His perfect timing. I pray He causes it all to align for you. Eye hasn’t seen nor has any ear heard what God has prepared for you. Eye hasn’t seen nor has any ear heard what He has in store for you. Look at the spacious place He’s brought you to. This ground is holy, you might want to remove your shoes. He’s removed the old and made all things new. All for you, because He loves you. Go and spread the news. The word that came to you, publish it. What He’s revealed to you, trust it. His truth will be your bread and water, share it. Bless others with what’s been blessing you. Impact others with what’s been impacting you. It’s your time of divine influence, and great manifestation.is coming to you daughter! Prayer: Hallelujah my Father God! You are good, and so faithful. I receive your word in my heart and will see it manifested in my life. All of my expectations are in you. Do what only you can do within me and through me. I yield to you completely. Bless me and make me a great blessing in this earth. In Jesus’ name, Amen. God”s words & your daily messages have bought me comfort and encouragement during a very difficult year. Often when I read the daily words was as if God was speaking directly to me. Thank you, continue doing the work of our Lord and Saviour Jesus Christ. Happy New Year to all my sister’s in the name of Jesus, our soon coming King. This is the year of unlimited blessing, so take the limit off the Father, just submit it all to Him.Amen and amen. We are to blessed to be çursed and to pure to be impure i declare decree and receive all that he is and all that I am. Daughter of the king lets rule and reign in his righteouness his glory his truth and justice his love endures forever. Thank you Father God!!! I receive your word today for this new year. I can’t wait to see what you have for me n the things you going to do in my life. I am a creation in Christ old things are past away ..n new things are coming for me n salvation for my family to come back to you Father. I do receive every word you give to us Father. So I thank you for who you are in my life. The king of this universe. The best is yet to come. Can’t wait. God bless you in this coming year. May He reveal Himself to you in a brand new light! May He rearrange your life and put everything into proper alignment. May He bless you immensely and honor you for your devotion to Him. I see you on here daily, praising God and waving His banner high! He sees you too! He will bless you for it! I believe it! You shall receive it and achieve all things through Christ. May He light up your life in 2016! May His Will be done and His Kingdom come! Jesus shall reign on your heart and life forevermore! And He shall open your eyes to even more of His love and devotion! And you will learn to worship and adore Him like neverleft before! Hallelujah!! Thank You, Lord Jesus! You are always more! Give me more!! I can’t get enough of Your love! In the precious Name of Jesus I pray. Amen. , Lord I know my sister don’t know personally but we are connected in the spirit, I felt her prayer as I read it genuine and from the art. Thank you for every willing vessel you use in this ministry especially this sister. I pray tha you bless her in the same way that she poured her heart into another God grant her all heart desires and be a fence of protection all around her and her family and enlarge her territory in Jesus name, Amen. Thank you I receive it. Cricket My sister in Christ Jesus ..I thank you for your prayer. It touch my heart when you pray..thank you Father God for using cricket your precious daughter .who love you so much .Father may You supply all her needs according to your word. In Jesus name .love love you. Amen and amen! Thank you for that! Jesus is supreme and above every name! Amen I receive this message in the name of our father God yes we are looking up to for complete and abundantly good favor for the new year this is our year to shine .Amen. Happy new years to one and all. Thank you Lord. Jesus Christ for everything and you are so good. To me and I am. Your daughter. I am so happy to have you in my life. Lord Jesus. For ever.Amen. Yes Lord….. Amen! All my expectations are in you! Amen. Yes, Lord! I touch in agreement with Vennise! All of our expectations are in You, Lord Jesus! You are King of kings and Lord of lords! We worship and adore You, Lord. We surrender the following 366 days unto You and Your Sovereign Will for our life. We lay down our past at the foot of the cross! You paid the cost! So I am throwing You all my losses! Take them! I am hurling them at You! I can’t get rid of them without forcefully slinging them into Your blood! Your blood spatters all over me and I turn white as snow!! I know, Jesus. You love me! You love me for eternity!! Oh my soul is twitterpated with You! I am so in love with You, my Savior! You shall drench us in Your favor, and we shall walk into this new year, glowing in Love!! We love You, Lord! We do! We do! We do! We shall honor and obey You in this coming year! This is our year!! This is the year that the Lord has made!! I will rejoice and be glad in it!!! We will rejoice and be glad in it!! Happy, happy, happy!! I receive it, Lord! Happiness, joy, and love shall pour from my soul onto all those around me. I am going to be a disciple for You, Lord. Help me and teach me. Lead me and guide me. Anoint me and appoint me. Open my eyes and heart and use me for Your glory. I honestly feel like I am in a dream! But I know it is about to be a dream come true! All because of You, King Jesus! I can’t say it enough!! I love You, Lord! I love You, Lord! I love You so much, my Lord and Savior, Jesus Christ! I shall live and love and honor You with the rest of my life! This is one girl who desires to shine Your light for the world to see!! Use me, for all that I am worth to You in the Kingdom of God. Take this life from me and make it Your own! You are seated on the throne of my heart. I set You apart, and You set me apart. Now I will watch You deliver me. I shall wait patiently, in confident hope, for You to blow me away!! My day is ready for me! And I shall approach it with praise in my heart and pouring from my hands and mouth! My Lord is my Deliverer and I shall stand still on this battlefield and watch them all fall before my eyes! I hear You, Lord. You shall hold me up in Your Sovereign hand. Alone, I shall stand and be delivered. And I shall never be afraid of solitude and silence again! For my Lord will be the One who speaks truth unto my heart, and the devil will see he is no longer a threat to me! For I am blessed and highly favored, and I shall step into my divine appointment in 2016! I shall find and realize fully my divine assignment! I shall move into and begin to fulfill my divine purpose! I shall see it done for me, in the Mighty Name of Jesus I pray, amen. Father You are the giver of good excellent gifts. Un comparable flowing from the Holy Spirit touching our lives never to be the same in Jesus name Amen . God bless zebi for her faithfulness to You. May she realize a newer and even more intimate relationship with You, in the coming year. May You bless her and her family and prosper and promote them in Your Will and in Your timing. May she see You in a new light and grow deeply in her realtionship with You. I pray that You place hedges of protection about her and keep her from the enemy’s schemes. Bless and cover her mind in the blood. Grant success in all of her endeavors unto Your heart. May she receive a new and improved dose of strength and courage. A revitalized strength and and invigorating love for You. I pray You will bust open the gates of heaven unto her soul and pourthem blessings of love and honor on her, dear Lord. You are so special and important to me. Let me show the world what Ypu have done for me! I owe You my life! So, use me as Your purposeful Bride! Use us each one. Bless us each one. May Your Will be done and Your Kingdom come in each of our hearts and lives forevermore! In Jesus Name I pray this, amen. Amen, Lord I know my sister don’t know personally but we are connected in the spirit, I felt her prayer as I read it genuine and from the art. Thank you for every willing vessel you use in this ministry especially this sister. I pray tha you bless her in the same way that she poured her heart into another God grant her all heart desires and be a fence of protection all around her and her family and enlarge her territory in Jesus name, Amen. Thank you Heavenly Father God for your undying love for me and your people, without you I am nothing. I love you Heavenly Father God, I love you Jesus Christ, I love you Holy Ghost. Yes, Lord. I touch in agreement with Janice! Your undying love for me is manna to my soul! You make me whole! I love You LORD! Bless and keep Janice in Your Sovereignty and everlasting love in this coming year. Grant her success in her endeavors unto Your heart. Set her apart and make a way for her! Bless her heart, life, home, family, and relationships to glorify and honor You, King Jesus. In Your Name I pray. Amen. What you’ve done for us dear Lord, we can never tell them all! They are numerous in number and we thank you for them. Bless us, we the dotk family, enlarge our territories this year, meet the desires of each one of us and always remind us that our place is up and above. May you take care of us fill us with your love and may your grace be sufficient always. May we get to know you better this year, May we have an encounter with yu that will change our lives and give us a new meaning of the Lord that we serve. Help us to be a blessing to each other here and may the best from yu be ours the year. Hoy New year ladies!!!!! The Lord our God is kind and caring and He’ll take care of each one of us. Bless my family to get closer to you and give them peace joy and prosperity. Help us to remember where all our help comes from. Do a new thing in our lives this year and bless us with life more abundant! I love you and bless YOU in JESUS name AMEN!! I touch in agreement with Vera Mack! You shall bless us and grant us peace, joy, and prosperity! I claim it and receive it for the both of us, in Your Name Jesus. Honor Vera’s prayer to help het be a blessing to someone else every day. I pray that she would glorify Your Name in her heart and life, and receive the fruits of Your Spirit! Go ahead God, shock and amaze her! Grant her Your favor. Bless and protect her. Prosper and promote her and place her in a place of great peace and purpose. I pray this in the Name of Jesus. amen. 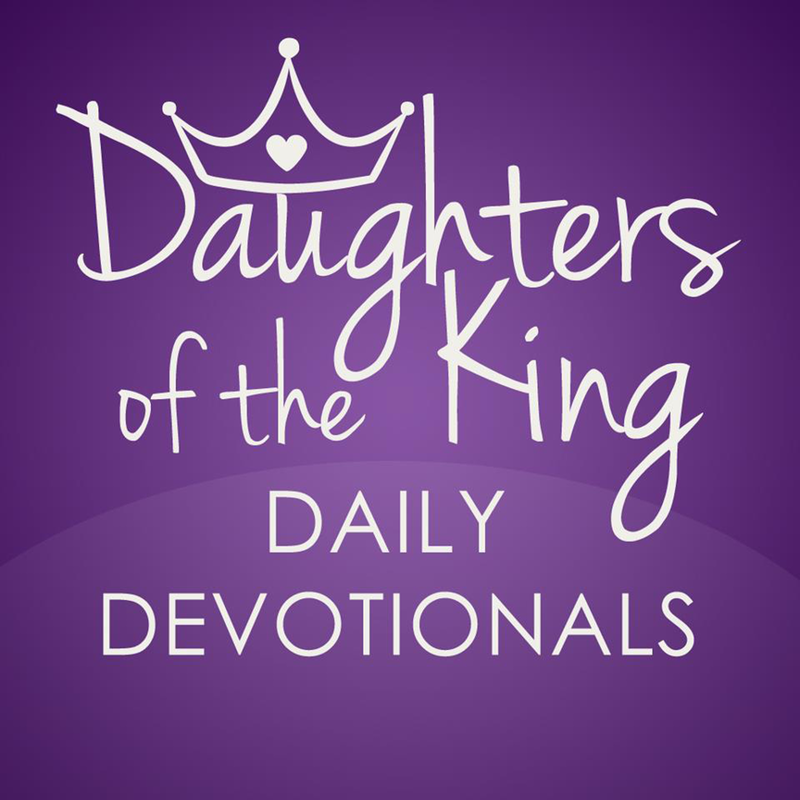 Hallelujah thank you Lord for this blessing upon the lives of all that receive this special word from your heart to ours, and I speak life into the heart you poured this message into and was obedient to share it with the rest of your daughters. Bless her beyond measure. Lord I love you and thank you for loving me first, continue to cover us all with your Grace and Mercy, and shower down from heaven your favor and blessings upon every heart you lead to read your message and Lord thank you again and I praise your holy name Amen. Bless Tia, Lord. You want to bless her. I know because my phone shut off after I wrote almost a whole prayer for her! Just like yesterday, when me and Kesha told the devil to go away! You send help my way! So I am sending help Tia’s way! You send hurting, desperate souls my way! And oh sweet Jesus, You said PRAY!! Okay!! Here we go!! Lord, Tia is in need! I don’t know what it is. But I feel it i am my spirit! Oh Hallelujah!! You won’t let go!! No, no, no, no, no, no!!! YOU won’t let go!!! Hold on to Tia in the wind and the waves!!! Though they may crash about her, she stall stand and not even sink into the sand! Here we stand, Lord! Use us, Lord! Speak to us, Lord! I am here working for Your glory, from my sanctuary of pain and glory!! Ha!! Ha!! Bout to insult the devil!! The devil ain’t got no story to tell, girl!! He’s lost to the dead world! All who chase after him shall fall and burn up in Hell!! What about that??? But what about the children of God???? We ROCK!! Cuz we stand on the Rock, King Jesus!! What you think about them ugly words you gave me when I give them back to you, devil??? Stand up and fight for me, King Jesus!! I am sick of the devil and his dirty words!! He makes me sick!!! I am done with his tricks, Jesus!! Done had enough!! I am looking up, King Jesus!! Whoop!! whoop!! Lift them hands up!! Yes, we will lift them up!! What you gonna devil??? Can’t take my life away???? Can’t take me hope away??? Can’t take my joy away??? Can’t take my peace away!! Yes, Jesus, tell him Your peace is here to stay!! Hallelujah!! Thank You, Jesus!!! There he goes running away!!! Ha!! Ha!! Ha!! I got my Jesus and He’s here to stay! Step back devil! Step back from me!! Step bsck from this ministry and its writers and readers! We are held in the Sovereign hand of our Savior!! Our burdens are defeated in Jesus’ Name!!! HALLELUJAH!!!! DEATH AND DISEASE AND DESPAIR AND DESOLATION IS DYING IN THE LIGHT!!! WE STEP INTO THE LIGHT, LORD!! GIVE US MORE!!! HALLELUJAH!!! DEATH IS DEAD!!! I AM THE HEAD AND NOT THE TAIL!! SATAN HAS NO HOLD OVER ME!! HE IS DEFEATED HERE ON THIS BATTLEFIELD THIS DAY!!!! I RESIST, REJECT, REVOKE, DISCLAIM, IGNORE, ABANDON, FORSAKE, DISHONOR, AND CRUSH THE ENEMY HERE UNDER THE MIGHTY FEET OF KING JESUS!!! HALLELUJAH!!!! CHRIST IS RISEN!!! HE IS ALIVE IN ME!!!! HALLELUJAH!!! I AM DONE WITH ANYTHING THAT DOES NOT PROMOTE, HONOR, AND DISPLAY MY KING FOR ALL TO SEE!!! THANK YOU KING JESUS! I AM ALL YOURS!!!!! SEE IT DONE!!! AMEN!!! Blessings for 2016 to all at Daughters of the King . thanks to you for your timely words of wisdom continue to pray for my family as I pray for you all. Hello Paulate. I pray that you are well. I wanted to encourage you for the coming year 2016. I have noticed that you have asked for prayer for your loved ones a lot. I pray that God blesses them and heals them and promotes all those that You hold dear to your heart. May His Will be done and His Kingdom come in their hearts and lives. I would like to pray a special prayer just for you. God, Jehovah Nissi, come and plant Your loving message in my heart. I receive it, Lord. You are LORD! You are my Creator and I am nothing but dust in the air unless You breathe Your Spirit on my heart! I receive it. In the darkness, I reach for the Light! Where is that hope, Lord?? Does it lie dormant in me??? Is hope still there to be born from within me??? Will You bring her to me?? Will hope come and become and be born of light and holy righteousness? Will she rise from within me and grow to become who You called her to be?? Oh, yes, Lord!! Give me more!! I am Yours!! I receive it all!! I shall stand and deliver the message!! I see it in my spirit!!! Oh Holy Righteousness, You stand up and deliver me!! Yes, yes, yes, Lord!!! Use me! I am an instrument of gold unto Your glory!! Your story is written on my heart!! Before I step out of my sanctuary, deliver me from the pit!! I am meant for this spacious place!! I am on holy ground!! I am barefoot and raw!! Yet I stand tall!! Oh, yes!! Jesus, You make me stand tall!! Yes, yes, yes, Jesus, make Paulate stand tall!! Give her words that shed darkness! Give her prayers that move mountains,!!! Yes!! Yes!! Yes!!! Give US prayers that SHED DARKNESS AND MOVE MOUNTAINS!! OH, I SEE IT!! I SAW YOU TAKE IT AWAY!! OH, YES STRONGHOLDS ARE BEING BROKEN!! YES!! JESUS, THANK YOU JESUS!! YOU GIVE ME WORDS TO SPEAK!! YOU SPOKE TO A BROKEN, DARK, LONELY HEART!! YOU HEAL AND RESTORE ME!! YOU LIFT ME UP!! YOU ARE THE RESTORER OF MY SOUL!! YOU ARE THE LIGHT THAT DISPERSES THE DARKNESS!! DON’T STOP!! WE ARE HEADED OUT!!! WATCH OUT, WORLD!! WE ARE STEPPING OUT IN THE LIGHT OF LOVE!!! WATCH OUT WORLD, HERE COMES THE KINGDOM GIRLS!! THEY GO BEFORE YOU AND MAKE A WAY!! CUZ WE SHALL PRAY AND PRAY AND PRAY!!! HALLELUJAH!!! MIGHTY JEHOVAH!! YOU MOVE ME!! YOU BLESS ME!! ANOINT ME IN YOUR BLESSED FAVOR!!! OH MY GOD!! YOU ARE MY WORLD!!! MY WORLD REVOLVES AROUND YOU!!! I AM AND ALWAYS WILL BE YOURS!!! YOURS!! YOURS!! WE ARE YOURS, JEHOVAH NISSI!! I AM HERE TO INITIATE THIS TAKEDOWN!!! WHAT??? YEP!! WE HEARD RIGHT!! WE GOT A LIGHT TO GIVE!! WE WANT TO!! THERE IS NONE LIKE YOU!!! THIS IS IT!! THE DEVIL’S GOING DOWN IN A CLOUD OF SHAME!!! SEE THE FLAMES UNTO MY SOUL??? YEAHHHH!!! THAT’S IT!! BURN IT UP!!! I AM GOLD!!! LOOK AT ME!! WHAT YOU SEE??? JESUS IN ME!!! JESUS IN THIS MINISTRY!! JESUS IN THE WOMEN WHO LEAD THIS MINISTRY!! JESUS IN THE READERS WHO SEEK AND LEAD!!! YES!! YES!!! LORD I AM BRINGING IN THE NEW YEAR STRONGER!! AIN’T GOT NO HANGOVER!!! I AM REVIVED AND REFRESHED!! I LOOK BACK AT THE ASH AND I SEE YOUR NAME WRITTEN IN IT!! I WON’T FORGET IT!! BRINGING IN THE NEW YEAR WITH PRAYERS!! DON’T NEED TO CELEBRATE WITH THINGS THAT DON’T MATTER!! YOU ARE WHAT MATTERS TO ME!! I WILL LOVE, HONOR, AND WORSHIP YOU FIRST!!! MY FIRSTS BELONG TO YOU AND EVERYTHING AFTER THAT IS IN AND THROUGH YOU!!! I SHALL SEE A NEW DAWN RISE IN THE COMING YEAR!! WE SHALL LET GO OF ALL FEAR AND PRIDE AND DANCE ON THE FEET OF OUR FATHER, OUR LORD AND SAVIOR, HOLY SPIRIT IN US!! EMMANUEL, MY JESUS IN ME!!! I SHALL NEVER BE ANYWHERE IN LIFE THAT YOU DON’T SOVEREIGNLY AND PROVIDENTIALLY PLACE ME, AGAIN, MY LORD!! I LOVE YOU MORE!! MAKE ME LOVE YOU MORE TOMORROW AND EVERY DAY THEREAFTER UNTIL I DWELL FOREVERMORE WITH YOU IN THE HEREAFTER!! I WILL ALWAYS BE YOURS!! YOUR CHAINS ARE ON ME!! I WANT THEM!! I RECEIVE THEM!! MAKE THEM MY OWN!! I WANT TO BE CHAINED TO THE FEET OF MY SAVIOR!! HE IS MY SHIELD AND ARMOR!! CRYSTAL MARIE MADE STRONGER, CRICKET. GOD I BOW DOWN BEFORE YOU. I AM REVERENTLY FEARFUL OF WHO YOU ARE TO ME! THANK YOU LORD FOR RESCUING A SINNER LIKE ME!! I OWE YOU MY LIFE. HERE TAKE IT! IT IS YOURS FOREVERMORE! I AM YOURS FOREVERMORE! I AM ONE WITH THE SON OF GOD! HE LIVES IN ME AND I AM ALIVE IN HIM, FREE FROM SIN, GLORIOUSLY DRENCHED IN HIS GRACE FOR THE WORLD TO SEE! HE SHALL BE GLORIFIED IN ME! I BELIEVE! I RECEIVE! I SHALL ACHIEVE THE UNTHINKABLE, UNFATHOMABLE, UNREASONABLE, UNASSUMABLE, AND UNACHIEVABLE, EXCEPT THROUGH THE POWER OF CHRIST LIVING IN ME!! YES! YOU GUESSED IT AGAIN, LORD! I AM YOURS, SO I AM FREE FROM SIN!! YOUR GRACE IS A PROVIDENTIAL TASTE OF YOUR SOVEREIGN DESTINY FOR ME!! I HEARD YOU SAY IT CLEARLY TO MY SPIRIT! I RECEIVE IT! I AM THERE! I AM THERE! I AM THERE! WE STAND AT THE BEGINNING OF THIS NEW YEAR, RECEIVING ABOUNDING GRACE AND IMMEASURABLE BLESSINGS FROM THE FATHER ABOVE, THROUGH HIS LOVE, AND IN HIS LOVE WE SHALL TASTE THE SWEET TASTE OF VICTORY IN THE COMING YEAR!! THIS IS MY CLAIM TO VICTORY!! YOU RISE WITHIN ME, FOREVER SEATED ON THE THRONE OF MY HEART, I AM RISING UP!! YES, LORD TAKE US UP!! UES, LORD JESUS!! WE SHALL RECEIVE IT ALL!! I RECEIVE THE JOY AND ACCOMPLISHMENT I WILL FEEL ON DECEMBER 31, 2016! I RECEIVE IT NOW! I WILL LOOK BACK AND SAY, “WOW, LORD”. AND YOU SHALL SAY, “WELL DONE, MY FAITHFUL SERVANT. I LOVE YOU, MY BELOVED DAUGHTER! MY PRECIOUS PRAYER WARRIOR, LOOK WHAT WE DID TOGETHER, YOU WITH ME! !” I RECEIVE IT, LORD, RIGHT NOW! IT IS MINE! THE DEVIL CSN’T STEAL IT FROM ME! THIS YEAR IS YOURS!! MAKE IT SO, JESUS! I KNOW YOU WILL! I TRUST YOU WITH MY HEART AND SOUL! I LOVE YOU TRULY, MADLY, DEEPLY!! YES! YES!! HALLELUJAH!! THANK YOU, LORD, FOR LETTING ME PRAY FOR YOU!! I LOVE YOU SO MUCH, LORD! STAMP THIS PRAYER WITH YOUR NAME AND AUTHORITY, KING JESUS! YOUR INSIGNIA IS ON MY HEART, NOW STAMP IT ON MY LIFE!! I RECEIVE IT!! HALLELUJAH!! THIS IS UNSTOPPABLE!! THANK YOU, JESUS! YOU ARE MINE AND I AM YOURS FOR ALL ETERNITY! HALLELUJAH!! THANK YOU FATHER FOR MAKING A WAY IN THE WILDERNESS AND FOR LIVING WATERS THAT SPRING FORTH IN THE DESERT! I SHALL DO MORE THAN SURVIVE! I SHALL RISE AND CONQUER IN YOUR NAME, KING JESUS! YOU REIGN! IN YOUR NAME I PRAY FOR, DECLARE AS MY OWN, AND RECEIVE IN FULLNESS AND IN GRACE, ALL THAT YOU HAVE WRITTEN FOR ME IN OUR LOVE STORY! I AM SO LOST IN YOUR LOVE! SELAH! AMEN UNTO MY SOUL! Please dear sisters, share in my prayer for yourself! I love you all and I am going to spend time pouring the love of Christ on my husband! I pray for you, each one, and I carry you all close to my heart. I pray my prayers bless you, as they bless me. I pray that you know you have a sister and a friend in Christ in Cricket. Don’t give up on what you are believing for. I promise you from my own life and heart, He has not forgotten you, nor will He ever forsake or abandon you. Receive His love unto your own hearts this day. It is meant to be shared, from my heart to yours. You are my sisters in Christ and I shall love, encourage, and cheer you on! God bless you, each one, and may He be with you every step you take in 2016. Hallelujah!! Thank you for sending me sisters to love on and encourage me!! In Your Name, I lift this prayer up with the incense of praise lifting up unto Your nostrils! Breathe this praise in and blow Your power and glory on these daughters of the King! Hallelujah!! Thank You, Jesus! Amen. Your daughters of the King! Thank you.. I will always receive God word n your prayers .I love it . Bless his name on high..he is worthy to be praise. GOD bless You all Daughters of the King. May We celebrate Our LORD JESUS . He is control of everything that concerns us , a big solution to every situation ! Let us give HIM every praise . Just trust ,believe HIM .Alleluyah!!! Thank You! I do not know what GOD has in store for me. I just know that I need to Trust and Believe in God. I have heard Great stories of the Great things God can do and has done. My home burnt up February 21th, 2014. I have lived with others, and you try not to burden anyone, but you do when you live with someone else. People have their lives all in order, then they allow you to come in. This changes their routines. So I went back to my property and lived in a tent, then my van, now a shed. So this wonderful word you just gave me, made me cry. I have been told My Blessings are coming. I am looking forward to them. MY GOD IS A TRULY AWESOME GOD!!!!!!! Thank You GOD BLESS! Addye , l will be praying for you sister l pray right now Lord that you will open that door pour out a double portion blessing for your daughter who is believing in your mighty power touch her heart like never before and fill her with more of your holy spirit thank you Lord” in Jesus name l pray AMEN!! This app has blessed me tremendously as I stumbled upon it, I believe over a year ago. I don’t believe, for one minute in happenstance or luck! We serve a GOD who has a reason for everything and we cannot reason it out!! I have been inspired to share quite a lot of my life’s story on Facebook with your sweet words of devotion to GOD and HIS Word which given me the motivation and courage to do so! I refer this app to every sister I can. Bless each one of you for your beautiful obsession of Jesus!!! Mega blessings in this brand new year!! I have a couple questions concerning the app… Is there a way you can let us know through notifications that someone has replied to a comment we posted? If I don’t have something that prompts me, I forget to go back and look. Also can you instruct me how to post a profile pic? I see most of us sisters don’t have one and I would love to match a face with the “voice” we post here. Annamarie, I left you a reply yesterday and a reply another day and I believe a few days before that a prayer for your husband. Plz go back and read yesterday’s first, then go back. I pray that you are blessed and that my prayers are a blessing to your husband. I do not know about posting the pic. My phone doesn’t work well, so I don’t try to figure extra stuff out with it. Maybe another sister can help you with that. God bless you, Annamarie and happy new year! Shall it be blessed for you and yours. Amen. Thank You Lord for allowing me and my love ones see a new year. I love You and give You all the praise and glory. Hallelujah and Amen. Father God, anne has the gift of encouragement. I pray You anoint, expand, bless, and promote this gift. May You build her up to share this gift with others. God grant Your wisdom and discernment. Grant her Your favor and advance the call on her life. Speed it up, lift her up, get her up to speed with Your purpose for her life. Supercede all the enemy’s tricks! Exceed her expectations!! Make a reputation for God in her heart and life! Display holiness and righteousness from within. Grant Your abundant grace that she can run and endure her race. Every day, carry her and plant her feet on solid ground. Mske her paths straight and her oppressors faint under oppression!! Depression faints under the weight of our obsession to pray!!! Yes!! Lord we will encourage and pray!!! We jump up from our own dark pits to throw a ray of SON-light our sisters way!! Bless us, each of us!! Call out the encouragers and the prayer warriors!! We need them!! Build a coalition of prayer warriors for You!! Shall we stand together and band together under You, Jehovah Nissi!! Whoosh!!! I am made new!!! Yourlove blood cleans and renews!! I am white as snow because You are my righteousness! Who is?? My sweet Jesus!! No one is sweeter than Him!!! I love Him so!!! In Jesus Name I pray, amen. Cricket, thanks much for your prayers! They do touch my hrt. I want to appreciate yu for yu ar a blessing Cricket! You may hv been with people that don realize what a blessing yu ar bt don n neva feel bad about it they just don knw what they fail to see in you. Am sua am talking on my behalf and behalf of the dotk family. We appreciate yu much! Thanks for being a caring sister and for being your sister’s keeper. I pray that the Lordin His abundance shall bless yu, cause to excel,meet your hrt desires,keep your hrt safe and most importantly answer all your prayers. May yu encounter Him moa ths year Cricket, May His light shine on yu always. Yu ar an adorable daughter of the king dear. Love yu much and all the sisters here. May the Lord keep us safe and give us a reason to serve and worship Him every single minute. Abba! You are so sweet to me! Thank You for such dear friends to me and sisters in Christ. Thank You for making me my sisters’ keeper. I will do my best for You. And You will make me who You want me to be. My Lord, anne’s prayer touched my heart so much. I know You are moving in our midst and forming healthy Christian friendships and sisterhoods that couldn’t exist for some of us in our everyday surroundings. So I thank You, Lord, that You use all things to Your glory! I thank You that You don’t ever, ever leave us alone! We just have to hold on and sometimes we have to hold on a long, long time! I want to use what You have done in my heart and life to glorify Your Name. I shall see it done, in the mighty Name of Jesus, amen. Bless anne for her prayer for me. It moved me so deep in my spirit. Help me receive love from my sisters, as I encourage and lift them up. You know I have a hard time receiving love. I trust Your love now. I trust You to open my heart to the love of my sisters, such that I would love them more and have a heart for them more. They give me more, I want to give them more, as You give me more ALWAYS! I stand here today, remade!! Hallelujah!!! What a happy new year this will be!! Bless ALL my sisters!! But bless my sweet sister anne with a special blessing for her encouraging words and prayer for me. I feel You call her heart unto me. God, make a way for this sweet girl!!! Let go and let God, sweet anne! He has a mighty plan for you and for me!! He holds your blessings in the palm of His hands. He shall build you up and lift you up and dress you up and push you up to a position that you can crawl out from under the weight holding you down!! Stand up and declare it now!! Jesus reigns on the throne of our hearts!! We set You apart!! I am a beautiful, blessed and highly favored daughter of the King!! We are!! Set us all apart!! We are here to bless YOU!!! Achooo!!! The dust of sin just went into the air!!! Take it away, Lord!! Give us a blessed taste of Your grace!! Yes! We love You, Lord!! We lift Your Name up!! May Your Will be done and Your Kingdom come in anne’s heart and life forevermore. May 2016 be the year she encounters You in a new and intimate way. In Jesus’ Name, Amen. AMEN AND AMEN. HAPPY NEW YEAR TO ALL MY SISTERS OF DOTK. MAY GOD BLESS YOU ALL. To ALL of my sisters in Christ, God bless you each one. I want to encourage ALL of you. If I overlook something it is not purposeful. This is just a daily walk for me. I am just learning to discern the Spirit. Forgive me, if I seem to overlook someone. I just try to go where the spirit leads me. But I am the first to admit that I don’t always get it right. But He sets all things right. He won’t let anyone fall who turns to Him. I am just a vessel. And I know personally, that is everyone else lets you down, He won’t. So believe. And if I don’t pray a prayer for you specifically and you see your story in that prayer, then it is yours to pray and plug your name in. I move with the Spirit as He leads me, then He expands all things beyond my understanding. I know this. These are prayers for the multitudes. Take them up as your own. My blessings are yours as well. The blessings I pray for others, I pray for myself. And I know even if I don’t He shall bless me immeasurably for my faithfulness to pray for you. Because you don’t know who I have been, but He does and oh, do I! You inspire me!! He is using you to build me up into who He wants me to be. I am so happy to share this time with all of you. I pray that someday, in God’s amazing grace and timing that I may put my eyes on and arms around some of you! God bless us each one this year! 2016 will be the best year ever!! Thank You Lord, for each of my sisters here. For each of their gifts and talents. I pray that you expand each of those talents and gifts. I pray that you anoint every sister in Your favor and grace to take their talents unto the ceiling for You. May their gifts be built up and blessed to prosper Your Kingdom. I love You. Thank You for not letting me leave anyone behind, wondering why they don’t “fit in” here either. We all fit in here because we are all daughters of the same highest priest! He lives in me! Shall He live and abide in all of your hearts and lives. May He blanket your homes with favor and prosperity. Everywhere you look you shall see His face in the mirror of your soul! Woah!! Your words even astound me! I can’t wait to go where You are taking me. Please bless my husband Steven. He needs You now. This must be blowing his mind. I see him squirming under Your Spirit! Hallelujah!! You will set my husband free, just like You did me!! Yes, Lord, do this for me! My marriage is in Your hands. Hold onto it for me. I am dropping my own desires and needs from him. I will get everything I need from You, while You build him up. I can sacrifice that much Lord. I led him astray! I want to do this, Lord. From the bottom of my heart, I want to drop my own pride at the door! Let me walk in with a new heart to bleed true for You. It is You I do this for! I want to be who You have called me to be, as my husband’s wife, and as his sister in Christ. I need You to take my own selfish motives from me. I don’t want them anymore. I get ALL that I need from You, Lord. I can wait to get the love I deserve. I didn’t come this far to find out what real love was from You to just give up on him. That just AIN’T RIGHT!!! I WON’T DO IT!! DEVIL, FORGET IT! I AIN’T EVER GIVING UP ON MY HUSBAND’S HEART AND NEITHER WILL JESUS! AND HE’S GOT THIS!! DON’T YOU, JESUS??? YOU GOT THIS!! YOU GOT ME AND MY HUSBAND IN THIS UNION!! YOU HONOR MY PRAYERS, WHETHER HE REALIZES THEM OR NOT!! UNTIL THEN, I WILL GET UP, STAND UP, MOVE UP, LIFT PRAYERS UP UNTO YOUR NAME! FOR I SHALL SEE THE GLORY OF THE LORD MOVE ON AND IN AND THROUGH MY HUSBAND’S HEART! HALLELUJAH!!! THANK YOU HEAVENLY FATHER!! YOU ARE … OH, YOU ARE ALWAYS MORE!!!!! I COUNT THIS PRAYER AS RECEIVED IN FULL! I TRUST YOU TO GET ME THERE, LORD JESUS!! AMEN. Thank you Father for, this brand new year, brand new day, with Your new mercies and the grace that you have given me. The assigned angels. I enter in to this day with the spirit of expectancy. I expect your miracles and favor today. Thank you Father for your word that, will never return back to you void. Happy New Years to each and everyone. Amen. Thank you Lord. I receive your word. I’m so happy because reading this message has such a impact on me. My expectations has shift to a new level. Praise God. Bless his name. Amen! I’m excited about what God will do in our lives this year! Happy New Year and a Special Thanks to the Author and Team of Writers for this beautiful Women’s Devotional that continues to Bless countless women around the world! And may each of my sister readers from around the world continue to receive God’s richest Blessings in 2016! Thank you God from Whom all Blessings Flow! I Love and Adore You!